Today let's take it to the matte! 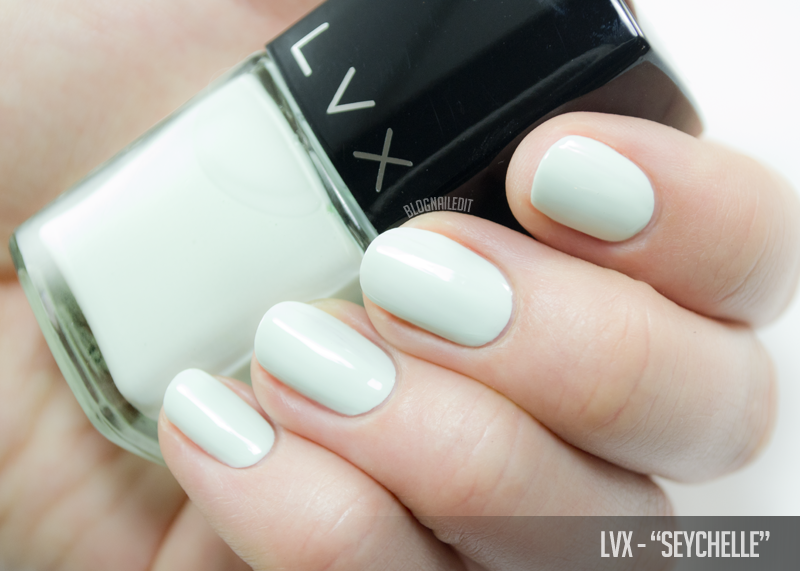 I've got a full review of another summer collection, this time from LVX. The way LVX chooses the colors is by going to all the runways for the season and scoping out the trends in color, so what you may typically think of as a "summer" or "spring" collection might not be what you see with LVX. 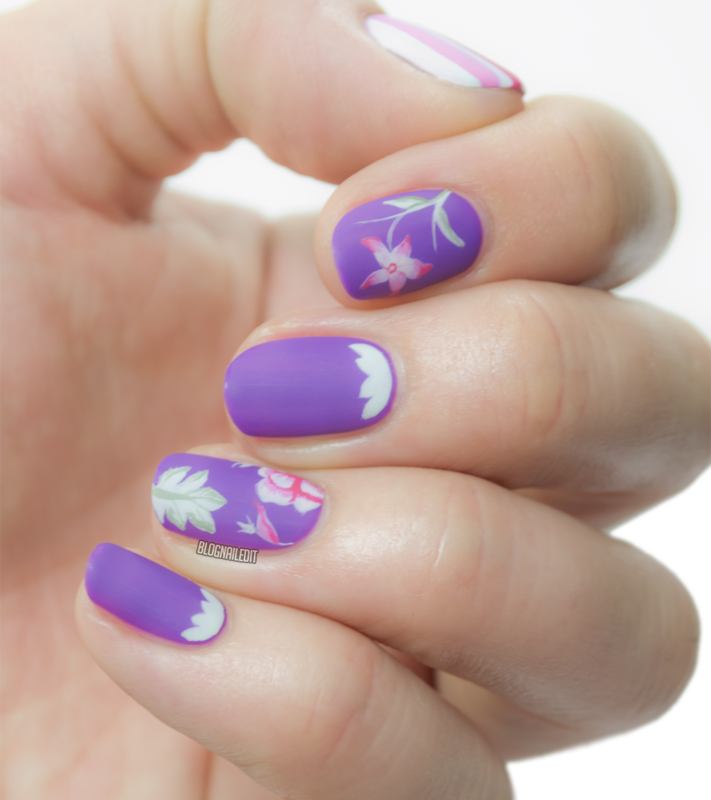 Nonetheless, I was inspired by the colors they chose to make some matte floral nail art for you all today. I literally used every single color for this freehand floral design! The pinks played perfectly into one another to give my flowers lots of dimension, and the combination of teal and purple is beautiful. The dark green accents the leaves really well too. To make it matte, I used my OPI matte top coat but the swatches were all done with a shiny top coat. Let's look! 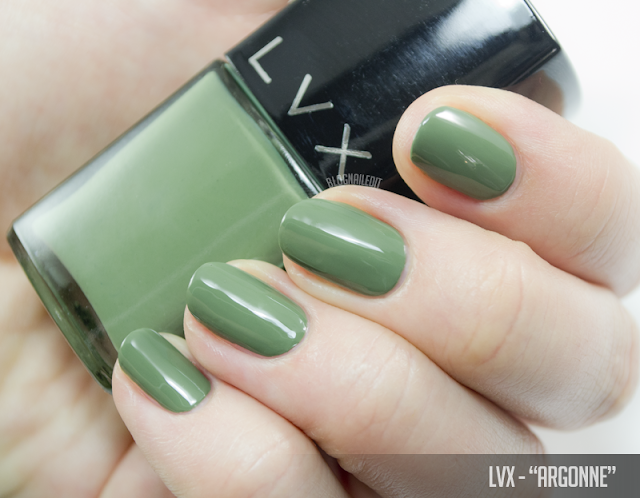 Argonne (2 coats) is a smooth, mossy sage creme...almost as smooth as a sage leaf actually is. 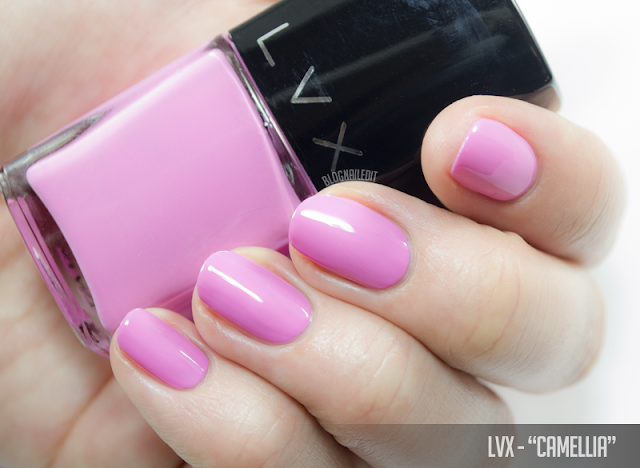 Camellia (2 coats) is an exact dupe of Pepto-Bismol, and just about as smooth. 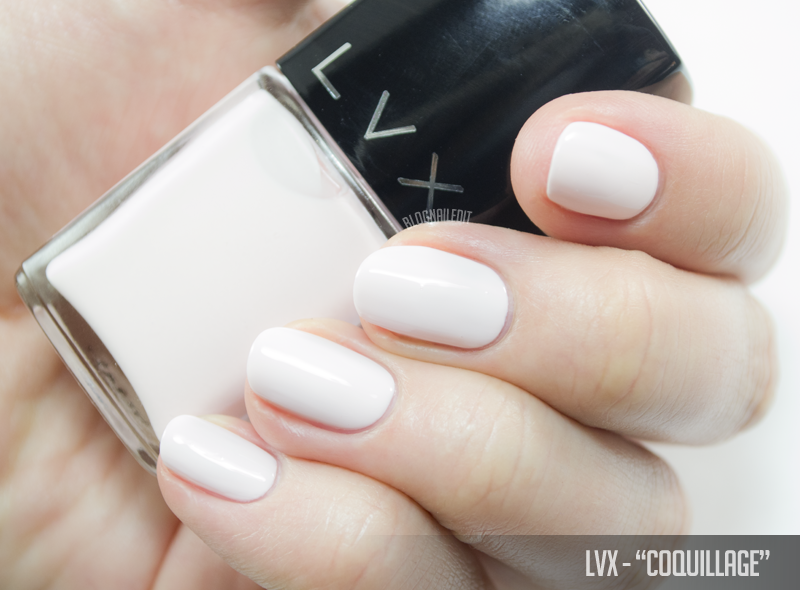 Coquillage (3 coats) is a light pastel off-pink white shade. I needed another coat than I normally do to get a smooth coverage though. Reine (3 coats) is a little bit more of a crelly (creme-jelly) than a creme. It's a beautiful, neonish-purple, but it needs a top coat. It's stunning when it's full-shine! 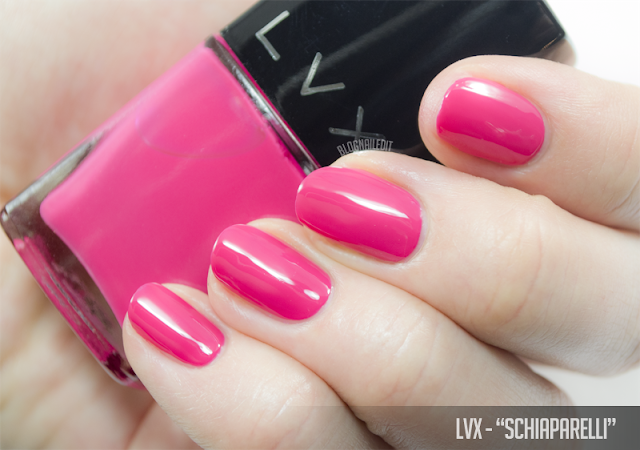 Schiaparelli (2 coats) is a hot, warm pink creme. Simple as that. Seychelle (2 coats) is a light pastel robin's egg creme. It's a bit chalky unfortunately, but that led to me deciding to make my design matte, and I think that was a good one. Each of the colors is still available through LVX's site here (listed alphabetically). Though LVX is a luxury line, I've always said it's worth its money.